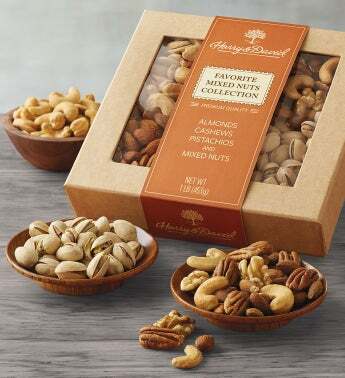 The Favorite Mixed Nuts Collection offers the finest hand-selected nuts. We've filled it with the perfect array, starting with roasted in-shell pistachios, cashews, and roasted almonds. Then we topped it off with a deluxe nut blend. This selection is a premium, gourmet delight.